Tim Blanchard will be stepping out of a full-time Supercars drive next year, but he’s far from finished with the sport. Blanchard joined the category with a strong junior pedigree, including an Australian Formula Ford title, and runner-up finishes in British Formula Ford and the Dunlop Super2 Series. He has, however, failed to find form in the main game, finishing no better than 21st in the standings in four previous full-time seasons, and currently sits 23rd in 2018. Blanchard’s family, which operates the CoolDrive Auto Parts giant with which he works as its marketing manager, bought a Racing Entitlements Contract at the end of 2016. 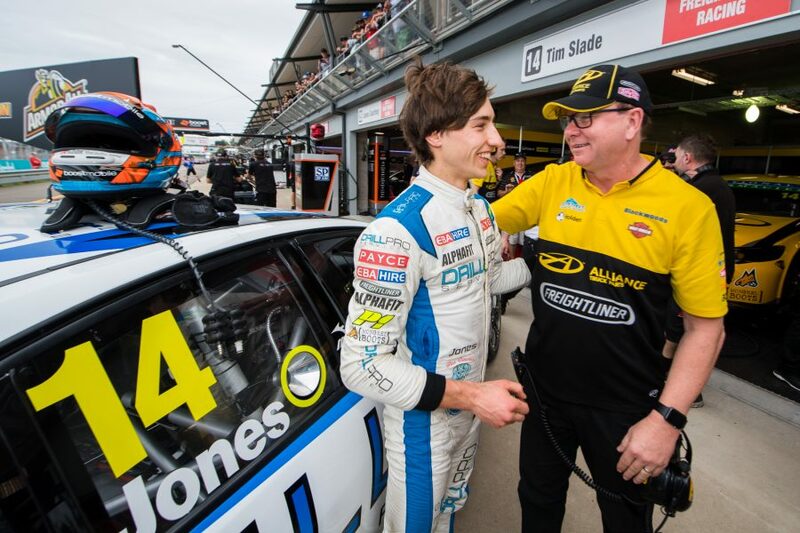 Stating at the time he’d step down if his results didn’t improve, the 31-year-old has been true to his word, seemingly opening up a seat at Brad Jones Racing for Macauley Jones. 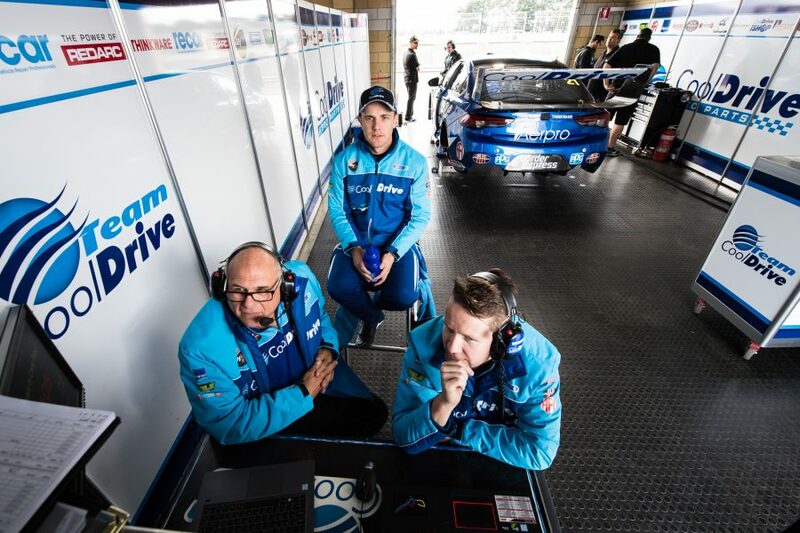 Blanchard told Supercars.com why the time is right to make the change, and how he plans to remain involved in future. Tim, you’re in a relatively unique position, being able to decide your own future. Why step down now? I am very fortunate that I’m in a position where I can make the call, which not many people in this industry get to. I want my results to be a bit better and be further up the grid and I felt that I’ve done the best I could have in the last two or three years. There were a number of things I felt needed to change to get further up the grid going forward, and they aren’t really possible at the moment, at this stage of my life. I thought that if things aren’t going to change or improve, what’s the point in continuing on? It’s obviously very frustrating with the results we’re getting. I thought if things aren’t going to improve I need to look at what my options are. One of those was getting into the management side more and try and seeing if I can help get the car further up the grid from that side, rather than driving it. Can you expand on any of those factors that needed to improve but weren’t going to? There’s many elements, including juggling a full-time job and racing, which is pretty demanding. Even having two or three average years, it’s hard to get your confidence back, and the commitment you need in Supercars, I feel like it’s increasing year-on-year. I probably wasn’t able to give the level of commitment that’s required to be in the top 10 at this level, these days. I think five years ago it wasn’t an issue, but the level continues to rise and in the last two years, you need to live and breathe it, you can’t have any distractions in your life. Therefore I think it’s better to put someone in the car who doesn’t have a distraction, they’re ready to go. Your marketing role at CoolDrive, did you think about dropping that to focus on the driving? Or is that not an option? 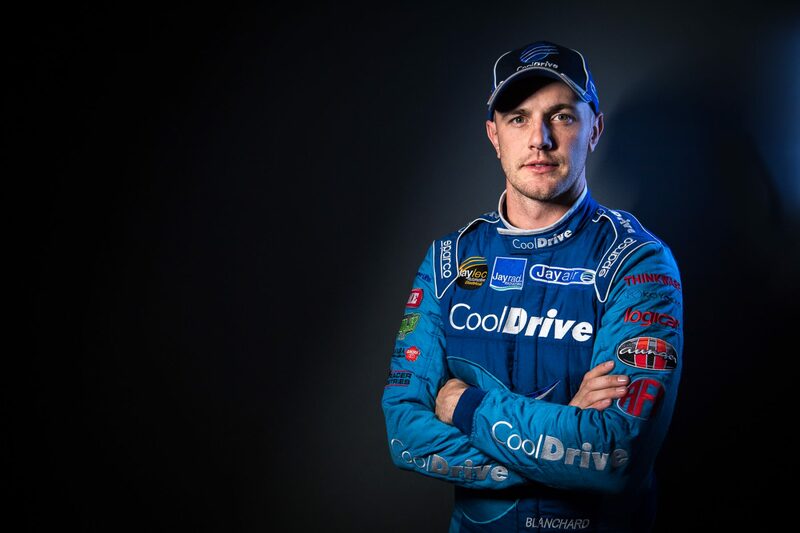 CoolDrive is our family business and I want to stay working in that. Long-term it’s where my career is, you can’t race forever, so you need to be prepared for what’s post-racing. I didn’t want to give up my post-racing career just for one or two more years of trying to get better results in racing. I didn’t want to be in a position in two or three years time to have no racing career and nothing outside it, either. Overall, you had success in the junior categories and it hasn’t happened for you in Supercars. Do you fully understand why? Surely it can’t all be about having a full-time job? No, there are a number of other elements that have contributed to it. I think the junior results were very good, but everyone in Supercars has won in junior categories; just because you’re successful there, it doesn’t mean anything in Supercars. You don’t get to Supercars running fifth in Formula Ford, you’ve got to win it. So that is an element of it, and I think just the first couple of years, being involved at DJR (in 2013) and LDM ('15) in tough periods of their life was not really a great place to start your career. Once you get stuck in that situation it’s very hard to rebuild your confidence and go from there. I think you need to come into a really strong, supportive environment to make that adapting to Supercars racing successful. But unfortunately they were the only opportunities I really had at the time to break in and you’ve got to take what’s in front of you. The REC is staying at BJR. How involved are you going to be in the running of that entry next year? The TBR REC will stay in association with BJR for 2019 and I’m still working with Brad on what involvement I’ll have in it. But we didn’t buy the REC just to park it somewhere for someone else to run, we want to be involved in running it and running the team and be involved in all aspects of Supercars. I’m still planning on going to each event and helping out in some way, shape or form, but I expect I’ll oversee the #21 side of the garage and go from there. What appeals to you about that side of the game, because not all drivers want to make that switch? I just like the team element of it. You pull a group of people together, get the right environment and culture together to build a successful team. I like structure and things like that. A successful team has very good structures in place, so implementing that into a race team is something I’d like to be involved in. Hopefully it works out to be a successful team long-term. So one day would you like to run the show independently, have a Tim Blanchard Racing factory and the whole shooting match? That would be the dream, but you’ve got to be realistic. I think a lot of people underestimate the amount of resources the big teams, and I’d say BJR is one of them, have to do things properly. That’s fabrication, engines, everything, there’s a lot of capital involved in running your own show completely. That’d be the ultimate dream, but it’s baby steps at the moment. Our association has been very good and we’ll continue that in the immediate future and see where we sit in a few years’ time. Macauley is a pretty clear front-runner to step up to a full-time drive out of this. Would you like to give a young guy like Macauley a chance? Yes. Macauley is one of a few options we’re looking at. Obviously, it makes sense with us being at BJR next year, but there’s a number of things that need to fall inline for that to happen. But having a young kid in the car would be great and it’d be good to build the team around someone young coming through. Are you going to co-drive your own car? I’m not entirely sure at the moment. It’s an option, but from a personal point of view, part of the reason to step down, I’d rather do three races where I’m fighting inside the top 10 and for podiums. So if there’s an opportunity to be in a competitive car that I think is going to be a really good shot at being on the podium in the Enduro Cup, I’d be silly not to explore that. So I’m on the co-driver market. Will you be doing any other racing next year? 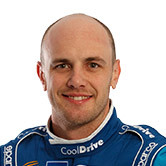 I’m not sure I’ll do anything full-time, unless a really good opportunity arises, but I don’t think you can go straight into Bathurst as a co-driver next year without having done some racing. 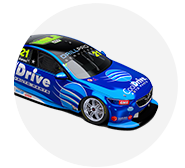 I think there’s going to be a big emphasis going forward on the co-drivers doing races leading into the Enduro Cup. Sandown is an easier event to warm-up and get your eye in, but now without that, I think you have to do some sort of racing and build up to the enduros. I don’t know what I’m going to do yet, but I definitely want to do some racing leading into the enduros. 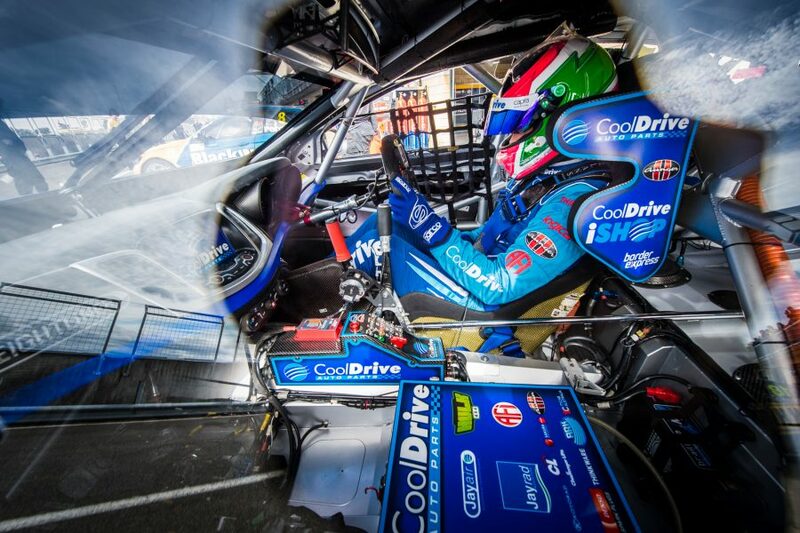 Have you got a highlight from your time in Supercars? My first full enduro campaign in 2011 with David Reynolds, finishing sixth at Phillip Island, that was a really good highlight for me. 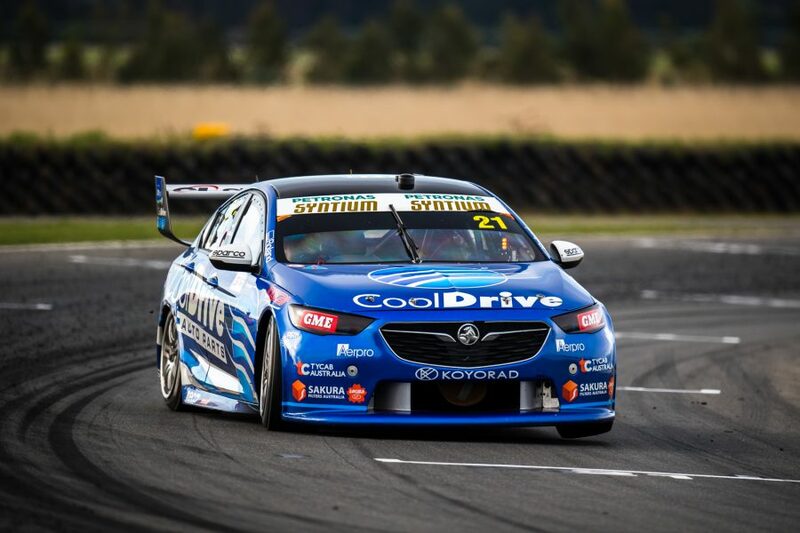 Even at DJR, we finished sixth there (at Phillip Island), which I thought was a pretty good weekend. And at BJR, last year, the result wasn’t great, but at Darwin we finished 11th or 12th and we had a good race and made the most of our opportunities. They are some of the highlights. Not necessarily the best results, but days where I feel we’ve maximised what we’ve had in front of us.